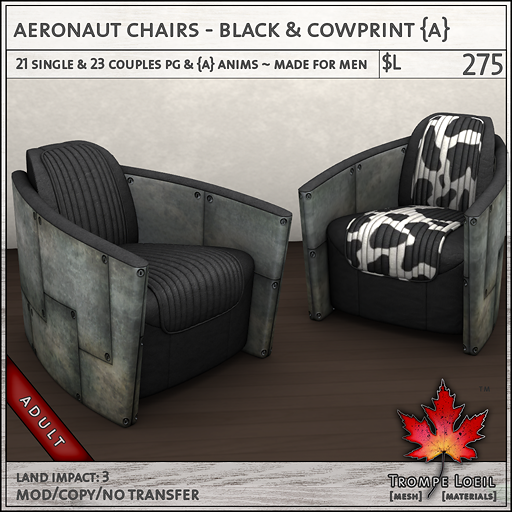 Need a piece that makes a statement, made just for the guys (and the people that love them)? 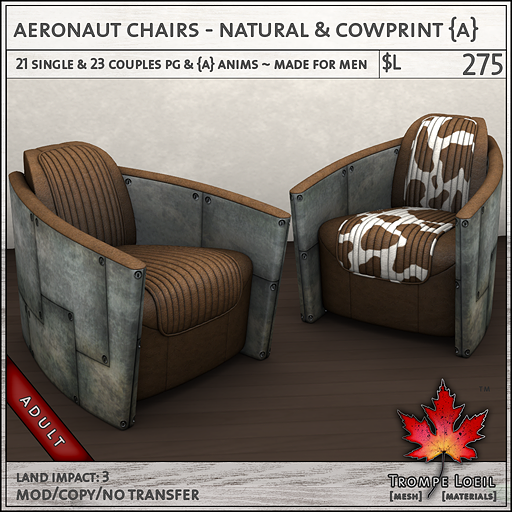 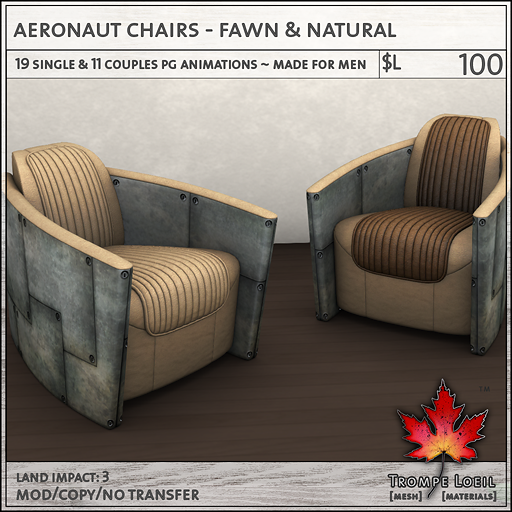 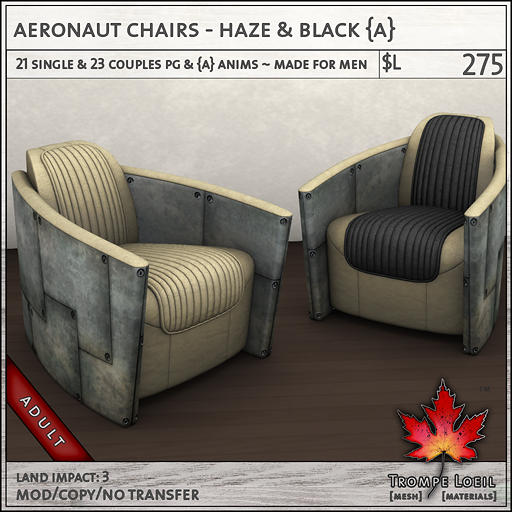 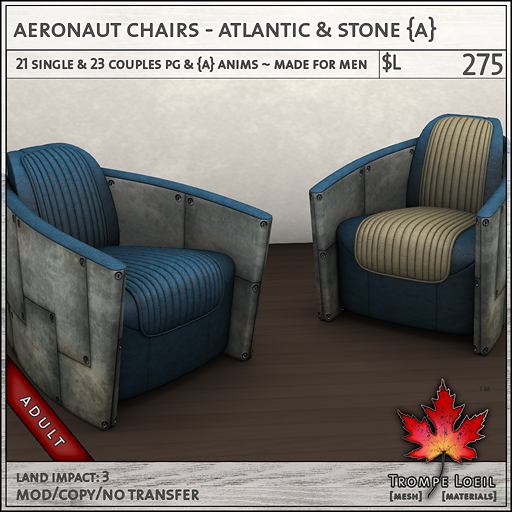 Swing by The Mens Department opening today and grab Trompe Loeil’s new Aeronaut Chairs in fantastic matching duo color packs at special low sale prices! 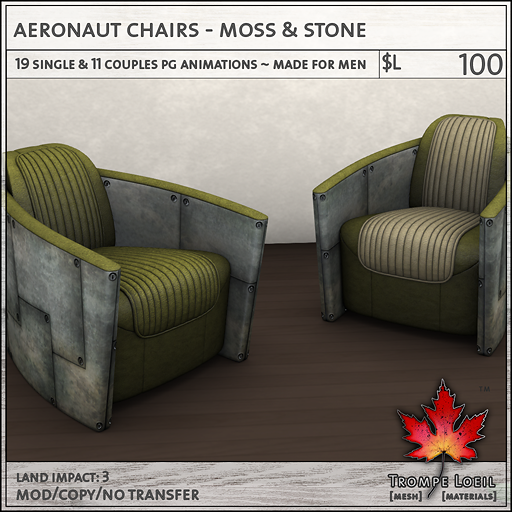 We’ve matched up raw materials with streamlined design for a conversation centerpiece that fits a wide range of personal styles. 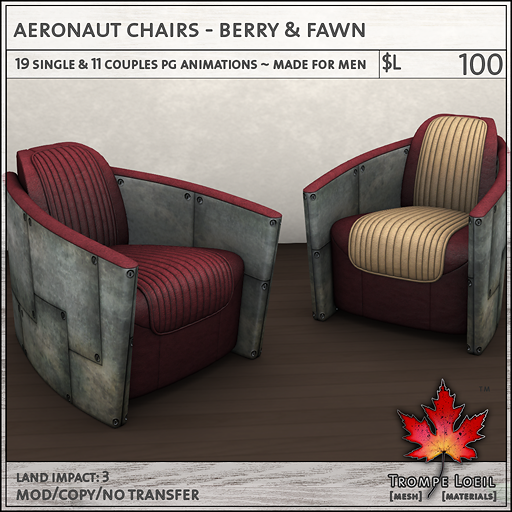 Available in PG and Adult maturities, with animation menus designed around the male owner. 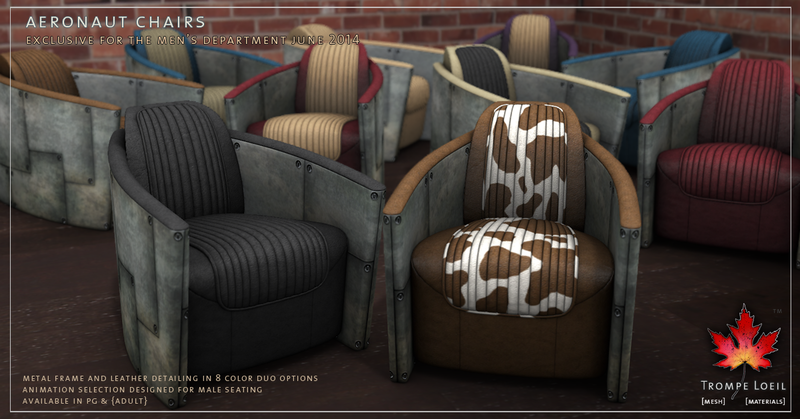 Exclusively on sale at The Mens Department for the month of June!